Israel needs to go back to its earlier ambiguous policy, mend its fences with Russia, and explain to Bashar Assad the price he will pay if he follows Iran’s lead. The Israeli response to the firing of Iranian missiles at the Hermon was expressed by an extensive attack on the Iranian Quds Force in Syria on January 21. It was a correct and justified response. Israel attacked more than 10 Iranian and Syrian targets. Now it has to wait and see if the message has been understood by the Iranian side. If it has not, Israel will need to find a reason as quickly as possible to strike another painful blow against the Quds Force in Syria to make sure that the message is understood. 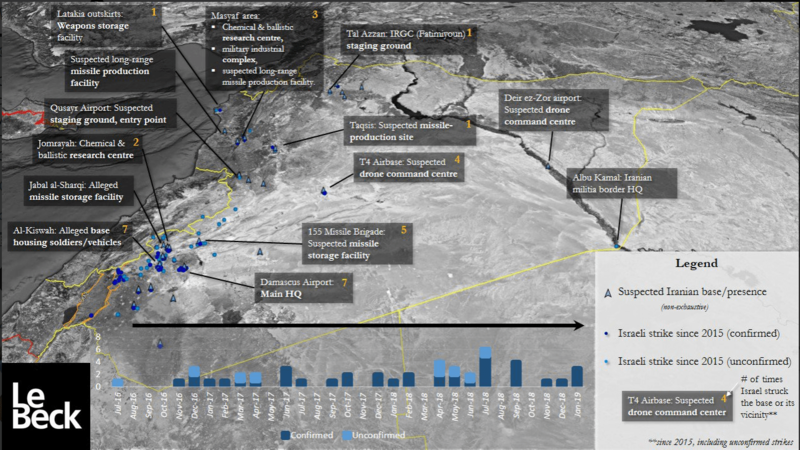 Iranian Gen. Qasem Soleimani’s error was choosing a playground where he is relatively weak. We have complete intelligence superiority in this area. We enjoy complete aerial superiority. We have strong deterrence, and we have the justification to act. The situation in Syria is currently different from that which prevailed at the beginning of the civil war. Russia is a true ally of Syria, and it is President Putin who holds the reins. President Putin’s main interest is to achieve stability in Syria to preserve President Bashar Assad’s regime. The Israeli message needs to be that there will be no stability in Syria if Iran continues with its military entrenchment and its attempts to arm Hizbullah with accurate rockets and create another front against Israel in the Golan Heights. President Bashar Assad is allowing the Iranians to run wild and attack Israel from Syrian territory, and it will also need to pay the price. An Israeli strike on one of the symbols of the Syrian government can definitely show the Syrian president what is waiting for him if he does not restrain the Iranian Quds Force in Syria.